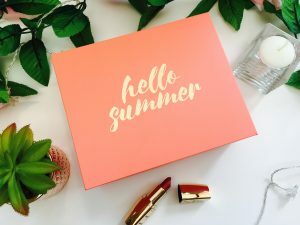 Morning all, last week I received my July Glossybox. Today, I am revealing and reviewing that products I received. 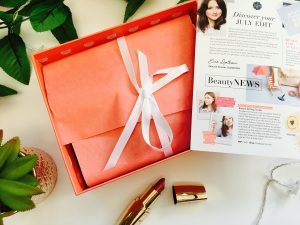 For those of you who don’t know, Glossybox is a beauty, monthly subscription box priced at £10 (plus P&P). It includes five beauty products, some full size and some sample size. 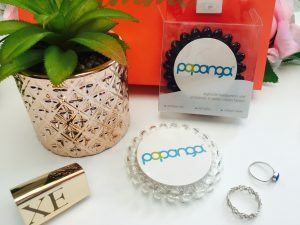 I signed up for the box a few months ago, but I’ve only just got around to writing my reviews! 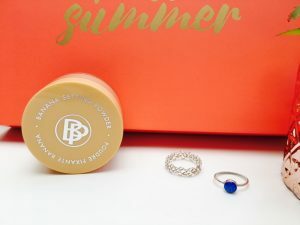 So, without further ado… July’s Glossybox! The first of their summer collector editions, July is the travel edition. I love it… it’s a reminder that Summer has truly started. 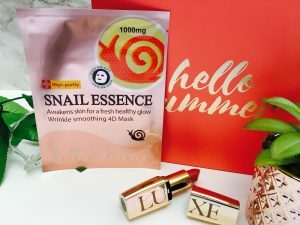 When my Glossybox turned up, I was suffering with very dry skin on my arms and legs. I get this from time to time, but I’d just got back from 3 weeks away. I figured my skin was too hydrated and so took the opportunity to start using this as soon as I opened the box. With Aloe Vera and Shea Butter in, it has a creamy texture AND has an amazing citrus scent! I have used it every day for the past week, and my skin is recovering so well. I’d 100% recommend this. I am very hesitant when it comes to trying new products on my face, especially face masks. My face can be quite sensitive and so I never know I will react to products. I decided to give this a try and, boy, am I glad I did! 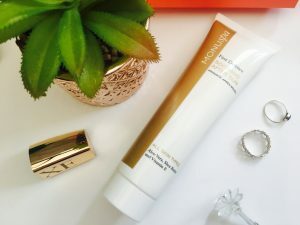 It smelled great, was easy to apply, very hydrating, and I can honestly say it’s the first face mask I’ve tried which has given my skin a healthy glow. For only £1.99, I’ll sure be stocking up on them! I’ve tried a few setting powders since I began wearing makeup, and I’ve always struggled to find one that has been fully translucent. Therefore, when I received this, I didn’t expect it to be any different. Due to the name, I also expected this to smell like bananas. I was dreading it, because I really don’t like the smell. However, I was pleasantly surprised to find it had no smell to it at all and, upon use, it left a glowing look. 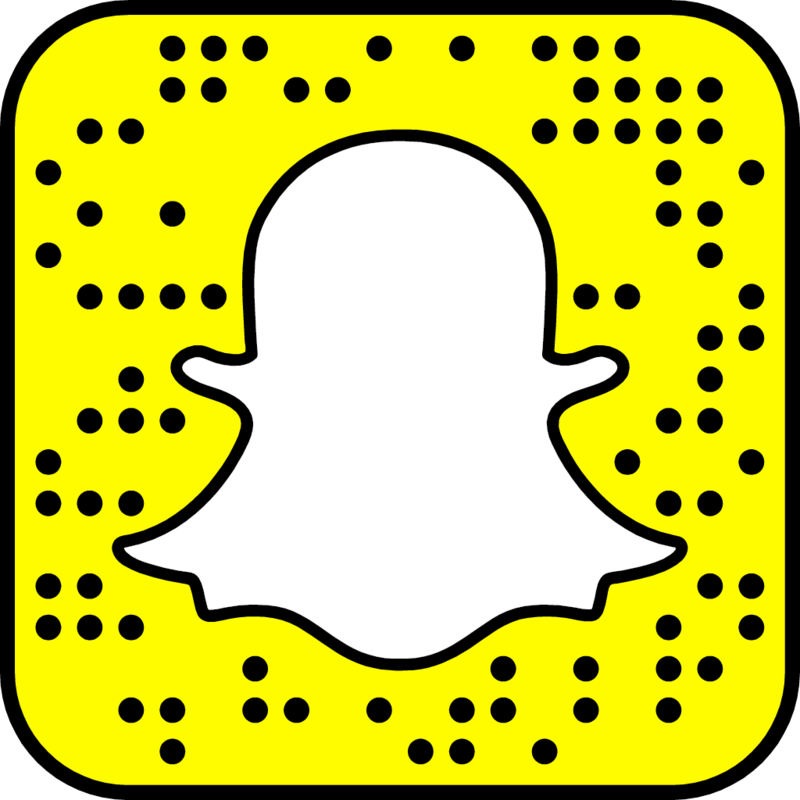 I didn’t test it for flashback, but I’ll keep you updated on that. 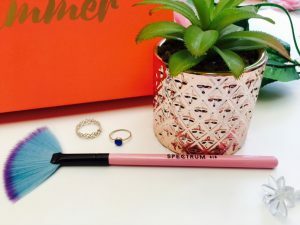 I have always been a fan of the Spectrum Collection brushes, from the first brush I owned. You can imagine how happy I was when I saw this sitting in my box. I absolutely love the colour of it. I’m not usually a pink fan (I like my blues more! ), but this rainbow effect has me goggling. I’d never heard of spiral hairbands, until a few months ago when the girls and I went on our Spa trip. I found out that they were designed to stop the crease you get in your hair from elastic hairbands. I spotted some in Primark when I was picking up a few last bits for my holiday – 10 for £1. Therefore, although glad that I have more to add to the collection, I’m not sure I would spend £4.99 for two. They both do the same job, so why not go for the cheaper alternative! 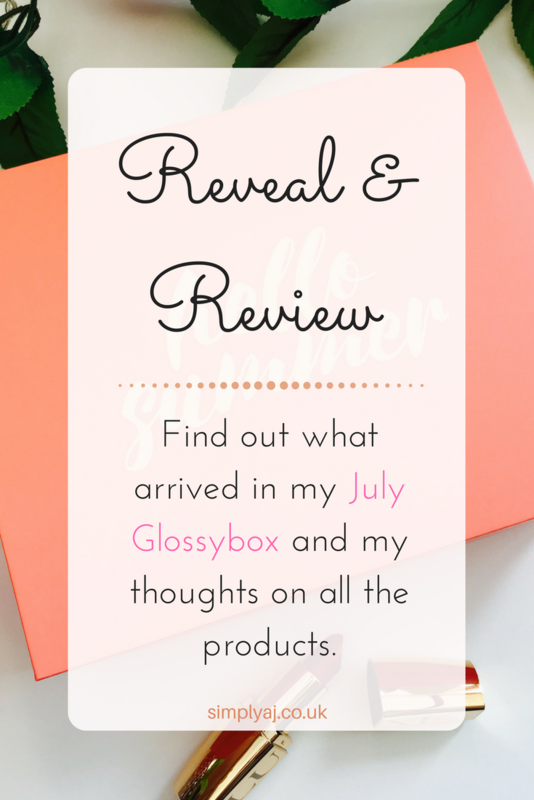 So, there we have it… My thoughts on this month’s Glossybox. 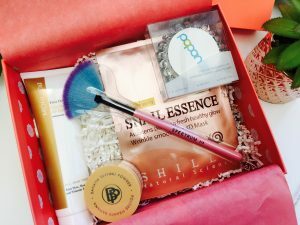 It’s safe to say, I absolutely loved this month’s selection – both the products and the variety I received. I can’t wait to see what’s to come next month! What did you think? Would you try these products?